Actor of dignity Heo Joon-ho is coming back with a period drama for the first time in 10 years. He is starring in the new MBC drama "Ruler: Master of the Mask". He takes on the role of Pyeonsoo-hwe's capain Dae Mok who smiles peacefully on the outside but looks through people's minds and uses them to his advantage. He doesn't care about the rise and fall or death of his people and he only plans to make his Pyeonsoo-hwe revive. He stands in conflict with Yi Seon (Yoo Seung-ho). Heo Joon-ho started filming in Damyang in February. Unlike the cold character he plays, the actor appeared on stage with a smile and greeted everyone. He helped fellow actor loosen up and went through every detail before the cameras started rolling. 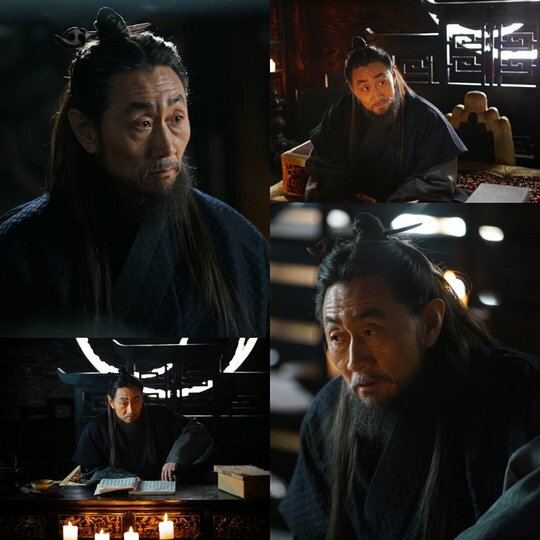 Heo Joon-ho said, "It's been a while since I've been in a period drama. Daemok really got to me when I read the script". "I am also meeting Yoo Seung-ho for the first time in 13 years". ""Ruler: Master of the Mask" Heo Joon-ho reunites with Yoo Seung-ho in 13 years"
Park Bo-young and Park Hyung-sik, "Goodbye Do Bong-soon"
Kim Min-jung in "Man To Man"